What is often considered a best-kept secret of the Washington, DC area is an intrigue to archaeologists, conservators and adventurous explorers alike. 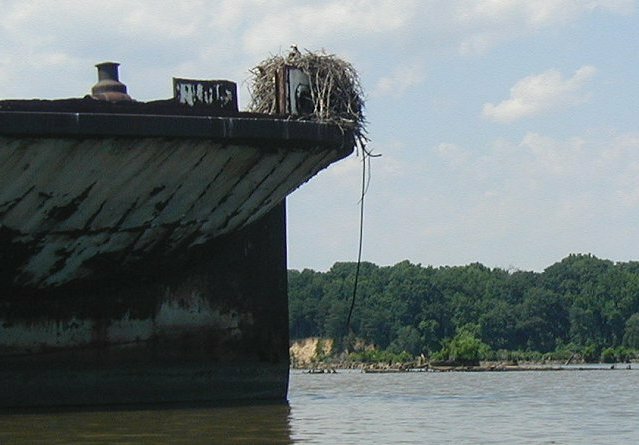 Mallows Bay, on the Potomac River in Southern Maryland, is home to nearly 150 long since abandoned remnants of ships. The mile long cove may contain the highest concentration of sunken ships in the world. Ranging from a late 18th century longboat to a steel ferry of the late 20th century, the nautical ruins protrude from the shallow waters. These vessels, the majority from a failed wooden steamship program of the World War I era, pose several interesting conservation and archaeological issues. Secluded from view and knowledge of even most locals, the Department of Natural Resources had considered ways to open the site as a shipwreck preserve. Naturally this raises the question of whether opening the site would compromise the authenticity and physical integrity of the site in addition to the hazardous albeit necessary measures to maintain, protect and conserve this maritime rarity. The ghost fleet of Mallows Bay is an intriguing case study illustrating the challenges associated with aquatic conservation and underwater archaeology. This site holds significance in many realms. First, since there are so few shipwreck graveyards in the world, let alone one with 150 ships, the rare nature of the fleet makes it worth preserving. From a historical standpoint, the majority of the ships in Mallows Bay are from a failed military shipbuilding effort of WWI. Woodrow Wilson commissioned the building of several hundred wooden steamships in a call to arms against Germany. Faulty construction and slow progress contributed to the downfall of this program by the time WWI ended. Postwar obsolescence made these ships undesirable and efforts to reuse them or even break them down for scraps were unsuccessful. Even an attempt to set the fleet ablaze missed the boat (sorry, I really just couldn’t resist the pun on this one, but that’s the only one, I promise!) But the bottom line is the charred remains of these vessels were brought to Mallows Bay and have been there ever since the 1920s. An effort in the 1990s led to a cataloguing of the nautical relics, where a total of 88 wooden steamships from the WWI era were identified. Findings also include schooners, workboats and log canoes from the 19th century. This shipwreck graveyard has created its own environment, an artificial reef, and removal of the remains would disrupt the entire ecosystem of Mallows Bay. Currently I have not found any recent plans for the site, but my search continues. I will provide updates to any discoveries. It’s hard to say what should happen next with the site. Waterlogged wood won’t last forever. Is leaving it ‘as is’ as it has been for decades the right thing to do, or would opening the site as an accessible shipwreck preserve be the way to go, spreading the knowledge about such a rare site? Tell me what you think!! Accomac, the only ferry in the ghost fleet.